RUSH: Guthrie, Oklahoma, we go next. Carrie, great to have you. I’m glad you called, sir. Welcome. CALLER: It’s she. But yes, thank you. I’m so glad my little Rush Babies get to listen to you all spring break. RUSH: I’m sorry. You’re a woman. I’m sorry. Welcome to you, madam. RUSH: Beto is his own unique existence out there. It’s gonna be fascinating to watch. 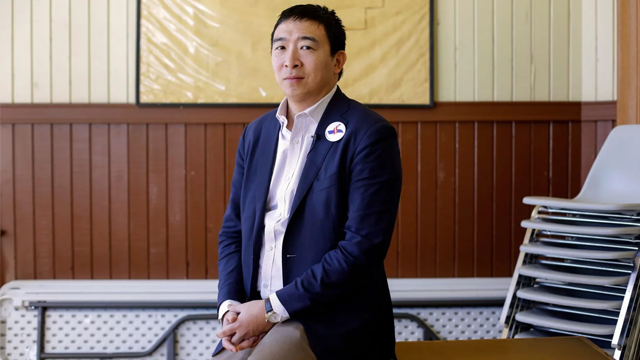 Right now you got Beto, you got Joe Bite Me, and you have Crazy Bernie, you got three white guys basically leading the Democrat race with this new guy Yang in there, who now believes in ending circumcision. Yeah, Yang wants to stop circumcision in addition to guaranteed universal income. CALLER: And he also said that white people will be shooting up Asian churches within a decade. RUSH: White people will be shooting up Asian churches within a decade? CALLER: That’s what he said. He said within a decade white people will be shooting up Asian churches. RUSH: Who, this Yang guy said that? CALLER: Yes. And there’s a video of him saying it. RUSH: Okay. We’re getting too many topics here. You started out with voting age at 16. Now Yang is talking about Asian churches being shot up by white people. Which one you want to go with? RUSH: How about the voting age to 16? What in the world is Pelosi – of course, her reasoning, we need to get ’em while they’re paying attention. Paying attention to what? Civics class? Get ’em while they’re paying attention to what? What a crock, lower the voting age. Folks, the Democrats want to get rid of the Electoral College, they want to change the voting age to 16, you know, while they’re out there trying to create this mind-set in everybody that they’ve already won the 2020 election because everybody hates Trump. Look at what they’re doing! Look at what they think they gotta do to win. They gotta get rid of the constitutional Electoral College, voting age to 16, massive, massive continual illegal immigration, reparations. Yeah. They’re admitting, folks, in everything they claim to support that they are in fact in the minority and out of the mainstream. RUSH: So our last caller had many things on her mind including the revelation that this new hero to the left in their presidential sweepstakes, a guy named Andrew Yang, actually predicted that whites will be shooting up Asian churches in a generation. I had to go find this. Right here it is. It’s at a website called Flag and Cross. “Democrat Candidate Says Next Generation of Whites Will ‘Shoot Up Asian Churches.‘” This is not a joke. A presidential directive on anti-circumcision. You probably don’t know that there is a thing called the National Organization Circumcision Information Resource Centers. NOCIRC. Now, you’ve heard me talk about them. I’ve talked about them over the years whenever the subject comes up. They’ve got videos. They’ve got visual aides. They give away all kinds of promotional material to people who will support the no-circumcision movement. They’re out in San Francisco. (sigh) (interruption) How does that make it a presidential issue? YANG: So a thousand dollars a month. The first time you heard about it, you thought, “That sounds too good to be true. Fantastic. Like a gimmick. Cannot happen.” But I want to go back with you down the history of the country. Thomas Paine was for this at the founding of the country. He called it the “citizens dividend.” Martin Luther King was for this in 1967, called it “the guaranteed minimum income,” and he championed it until he was killed in 1968. Milton Friedman and a thousand economists signed a study saying this would be tremendous for America in the sixties and seventies, to the point where it actually passed the House of Representatives twice in 1971 under Richard Nixon. How many of you all knew that? RUSH: I didn’t know that Martin Luther King was for this until he died. What about afterwards? (interruption) Well, he said he was for this until he died. Did something change? Uh, let’s see… “Thomas Paine was for this… He called it the ‘citizens dividend.’ Martin Luther King was for this in 1967, called it ‘the guaranteed minimum income,’ and he championed it until he was killed in 1968.” See? “Milton Freedman and a thousand economists…” This sounds suspiciously like the consensus of scientists on climate change. By the way, I have a headline for you here, folks, and it’s from the Associated Press. Are you ready? “United Nations Predicts Disaster if Global Warming Not Checked –– A senior U.N. environmental official says that entire nations could be wiped off the face of the earth by rising sea levels if the global warming trend is not reversed by the year 2000.” This story is from June 29th, 1989. It’s right here in my formerly nicotine-stained fingers. June 29th, 1989, Associated Press: “U.N. Predicts Disaster by the Year 2000 — [E]ntire nations could be wiped off the face of the earth by rising sea levels if the global warming trend is not reversed by the year 2000. Coastal flooding and crop failures would create an exodus of ‘eco- refugees,’ threatening political chaos, said Noel Brown, director of the New York office of the U.N. 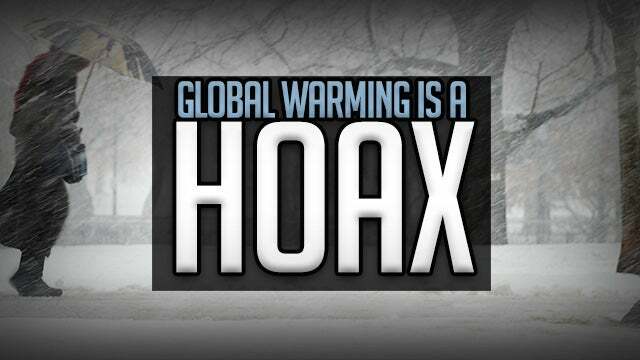 Environment Program, or UNEP.” Noel Brown, on June 29, 1989, “said governments have a 10-year window of opportunity to solve the greenhouse effect before it goes beyond human control.” That’s 1989. You know how many years ago that was, folks? We’re talking 30 years ago. The U.N. gave us until the year 2000, 10 years. Now Ocasio-Cortez and the proponents of the Green New Deal are saying we only have 12 years. So what’s going on here? Liberals don’t even bother to change their talking points, even though they’ve been proven wrong every 10-year period where we’re supposed to be wiped out, where circumstances necessary for life are going to end and the earth is no longer going to be habitable. Every 10 years comes and goes, and we are still here, and we are more prosperous than the previous 10 years. And yet they continue with the same talking points. Liberals in 1989: the world will end in 10 years. Alexandria Ocasio-Cortez and her socialist gang today: the world will end in 12 years. The scary thing is all of the people who believe this. Now, this is why the smart people in this hoax make predictions for 30 years from now or 40 years from now. They never make these predictions where they can be proven false, except they have. They’ve always been a bunch of risk-takers in the climate change movement who are seeking immediate finances or seeking big grants at the time or seeking something immediately will actually make a scare prediction of 10 years. But stop and think of this too. If we had anything like — I mean even 10% of a normal media, if we had anything like what people think journalism really is, all of this would have been held up to ridicule. Anybody with common sense listening to these people, rather than giving them credit, rather than signing on to what they say, rather than promoting, they would be analyzing it, they would be comparing what they say to reality, and they would be telling everybody that these people are just flat-out dead wrong. But, no, our media willingly act as accomplices to this because they are leftist activists, they are not journalists. But just stop and think. Stop and think how so many things would be different if there was just even a pretense of actual journalism in the mainstream media. But there isn’t. As Ted Koppel says, “There is no center anymore.” That’s not what’s happening. There never has been a center in journalism. It has always been, at the national level, tilted to the left. 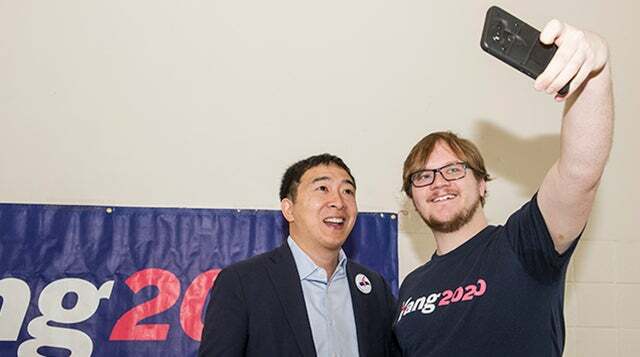 And yes, this Yang guy did say the next generation of white Americans will begin shooting up Asian churches. I guess that’s after all the mosques have been damaged. Where do these people get this? And of course it’s reported seriously. It’s not mocked. It’s not ridiculed. It’s not made fun of. And if you do, if you mock Yang, if you make fun of Yang, then they’re gonna come back and accuse you — in this case, me — of hatred and bigotry. Common sense is being driven out of the public square on a daily basis. Let’s take another brief break.